One of our favorite family traditions is to have my Beau make us pancakes for breakfast. 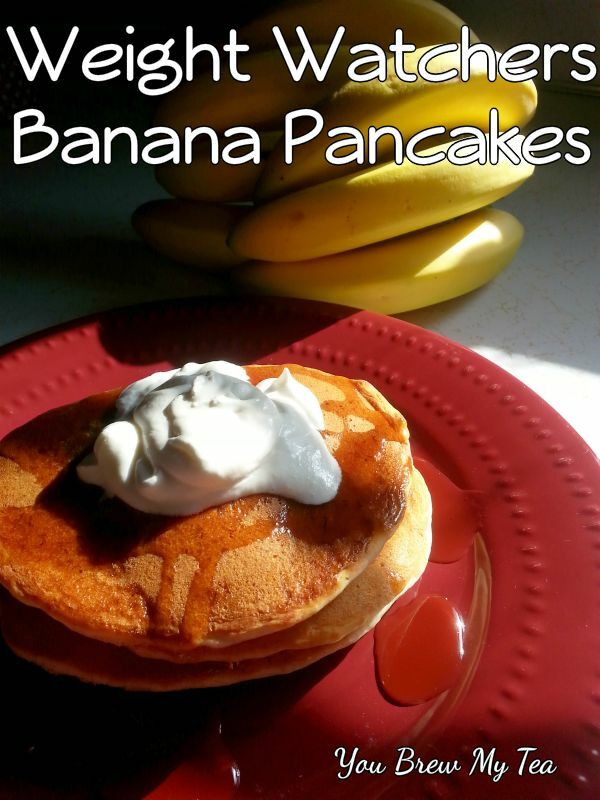 These Weight Watchers Breakfast Banana Pancakes are a recent favorite of ours. My Beau has made us tons of flavors in the past, but this is one that we just can’t stop eating. This is a simple and delicious recipe that will leave you wanting more. The best part? They are healthy enough that you can enjoy them without guilt! Along with the simple pancake mix as a base, he, of course, has to have some ripe bananas to add to the mix. Make sure the bananas you use are ripe or they won’t mash up properly. Bananas that have started getting lot of brown spots on the skin are just perfect for these. We often grab these for just a few cents a pound on the clearance rack in our produce department then freeze them for recipes like this. If you want the best Weight Watchers breakfast banana pancakes, using a griddle can prevent sticking and give even browning. We love our dual purpose waffle iron that also turns into a griddle when you flip the plates over. One of the best investments in our kitchen ever! I just spray it with a touch of non-stick spray and set the dial to waffles and voila, perfect place to cook our pancakes in larger batches! 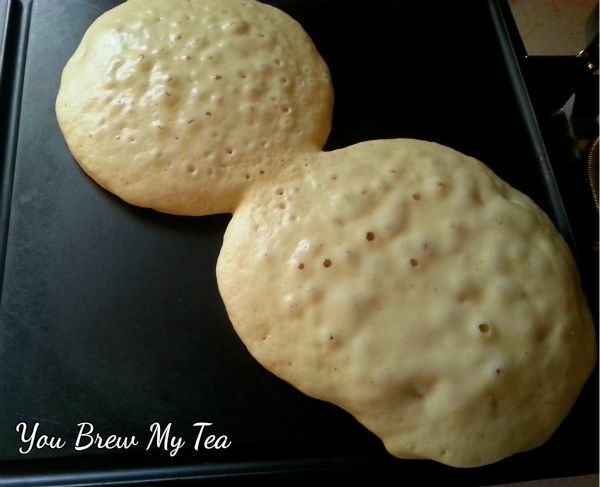 Wait until the pancakes are bubbling all over before flipping them. This will make sure that they are cooked through. We add a pinch of cinnamon and nutmeg to the mix to create a delicious and classic banana bread flavor. If you want to add a bit more crunch, you can even mix in some chopped walnuts. Remember to count the points for those though! Mix until well blended, but don't mix too much or will be tough. Mix the batter just until all ingredients are wet. Pour onto hot griddle and cook for 3-4 minutes on each side. Flip when bubbles are beginning to form. I calculate the Weight Watchers recipe for cranberry banana bread using CalculatorCat and CalorieCount respectively for points and nutrition information. For a more closely accurate Weight Watchers point conversion, you may want to utilize the program on Weight Watchers site or a local group to find a calculator app they approve. Serving size calculated below is for 1 large pancake or 2 small pancakes with no syrup or added toppings. You can top with a little fat-free sugar-free whipped topping, sliced bananas and a drizzle of real maple syrup, or your favorite sugar-free syrup. We prefer them with simply sliced bananas, whipped topping and 1-2 teaspoons of maple syrup. Skip the butter to save a few calories. Making a delicious breakfast doesn’t mean you have to use all of your calories or points in one place. Thinking outside the box means you try out different things to create flavors and textures that are pleasing while not requiring loads of unhealthy additions. 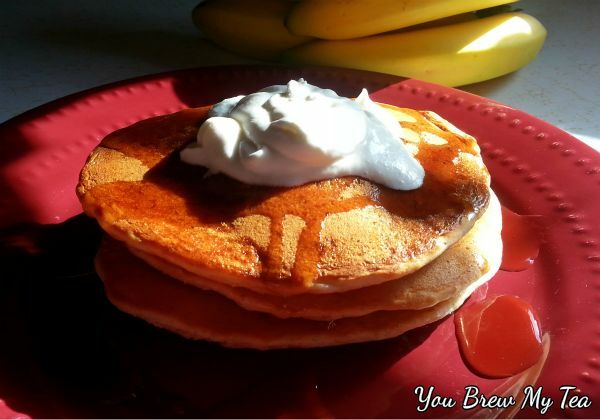 Bananas are a wonderful base that provides plenty of natural sugar to give your pancakes a perfect flavor that everyone will love. Check out some of our other favorite Weight Watchers Recipes! So they are 1.5 points per pancake? This is a dream come true! Yes ma’am! We love them!! !